FileMaker has announced version 1.1 of FileMaker Go for iPhone and FileMaker Go for iPad, the popular new apps that let users work with FileMaker Pro databases on iPhone or iPad. These significant updates are available free from the iTunes App Store, and include enhancements for creating PDFs, sharing databases via email, and inserting photos in databases. Users can now produce PDFs directly from FileMaker Go and either save them on their mobile devices or email them. This feature lets mobile users easily save and distribute reports, create invoices, and share project status directly from their iPad or iPhone. Another enhancement is the ability to save a copy of a complete database and email it directly from FileMaker Go. With this feature, iPhone and iPad users can exchange databases from their devices without needing to dock with a desktop or laptop. The updates also deliver new ways to work more efficiently with photos and other media and information. FileMaker Go users can capture photos on an iPhone, or take photos that are already in the photo library of an iPhone or iPad, and insert them directly into a FileMaker Go database. Photos stored in a database can be emailed out later using FileMaker Go. Other file types, such as spreadsheets, can be emailed directly from FileMaker Go. Also new is the ability for FileMaker Go users to import records from local or hosted FileMaker databases using script steps. iOS app developers may take advantage of the newly enhanced URL protocol from FileMaker for calling FileMaker Go. Using the URL protocol, developers can now specify a FileMaker Pro script and script parameters. This allows developers of commercial and in-house iOS applications to extend FileMaker Go databases and provide a wide spectrum of useful solutions such as bar code scanning. FileMaker Go lets user view, edit and search FileMaker Pro records on iPhone or iPad. Databases can be accessed directly from files hosted on FileMaker Pro or FileMaker Server, or database files can be copied locally onto FileMaker Go via File Sharing in iTunes. Compatible with FileMaker Pro 7 and all later versions, FileMaker Go 1.1 is available now as a free download for existing FileMaker Go users from the App Store. 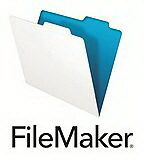 FileMaker Go for iPhone and iPod touch (running iOS 4) is £11.99 and FileMaker Go for iPad (running iOS 3.2) is £23.99. 0 comments on "FileMaker Go for iPhone/iPad updated to 1.1"